Christian Louboutin is a French Luxury Label Christian Louboutin was founded in 1992 in Paris, France. The label is named after the designer who founded it. The luxury French shoe designer Christian Louboutin's creations are instantly recognizable for the flash of his signature red found on the sole of all his designs. The brand has achieved iconic status as the master of artisan craftsmanship and red carpet glamour. Louboutin topped the Luxury Institute's annual Luxury Brand Status Index (LBSI) for three years; the brand's offerings were declared the Most Prestigious Women's Shoes in 2007, 2008, and 2009. 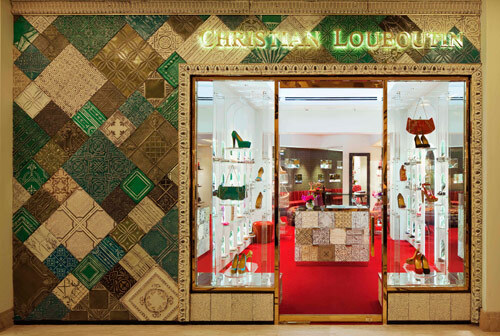 Louboutin maintained a high profile on the international fashion scene in the early 21st century, opening a European flagship boutique on London's Mount Street as well as additional stores in such cities as Jakarta, Las Vegas, Paris, Tokyo, and Singapore. The brand currently has 75 stores worldwide including a number of dedicated Men’s boutiques.